Fishpond Bumpy Road Rolling Cargo Duffel - Large. Honey, do you really need a bag that has nearly 10,000 cubic inches of capacity? Nevermind, I've seen your gear closet. If you are like the rest of us, you love gear and love to show it. 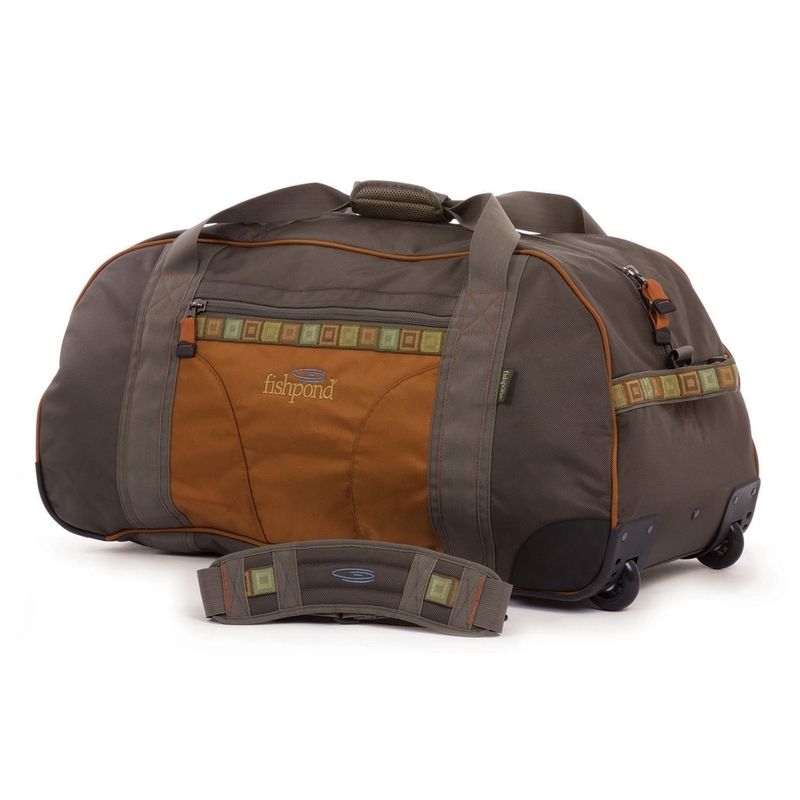 With the Bumpy Road Cargo Duffel, you can empty nearly that entire storage unit you rent out for your fly-fishing kit, and carry it everywhere you go. From the Gaspe to Olympic Peninsulas, or to the corner grocer (which you can do on foot since the Bumpy Road has wheels). 31.5" x 15" x 16"